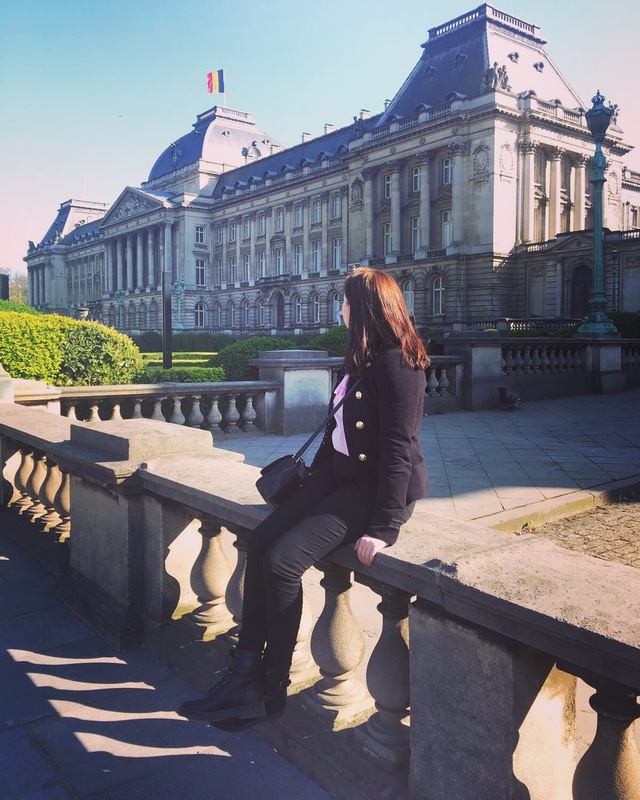 Continuing our Travel Goal of Traveling the whole world, we just returned from Country number eight which was the wonderful Belgium. 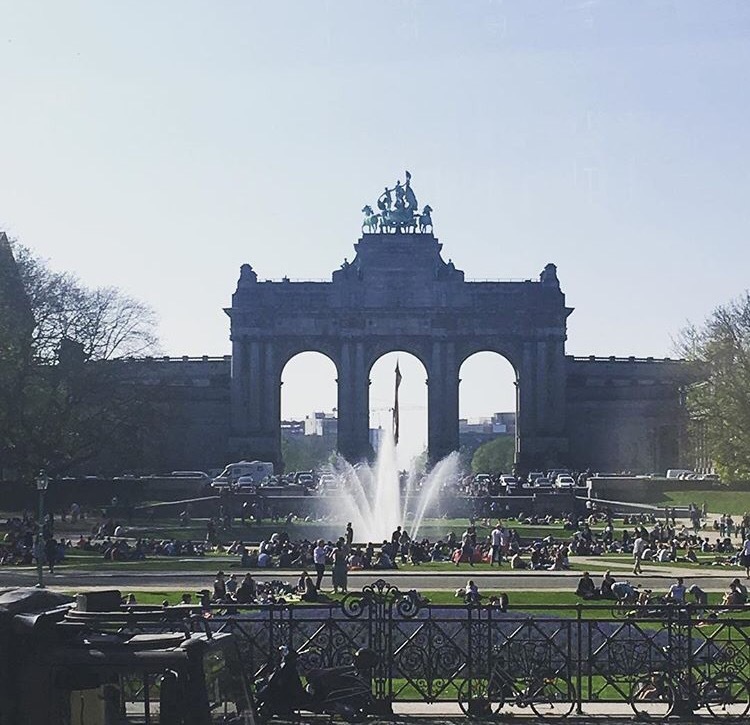 We spent three days in the capital city, Brussels and we have to agree that the city really surprised us. It was so beautiful. 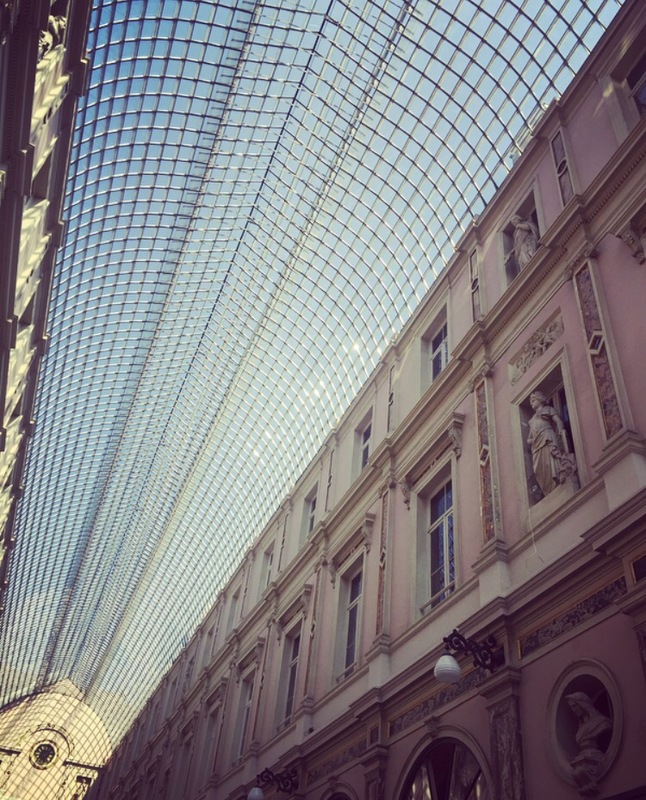 The city was very picturesque and fairytale like, full of little winding streets, art nouveau architecture and plenty of interesting things to do! 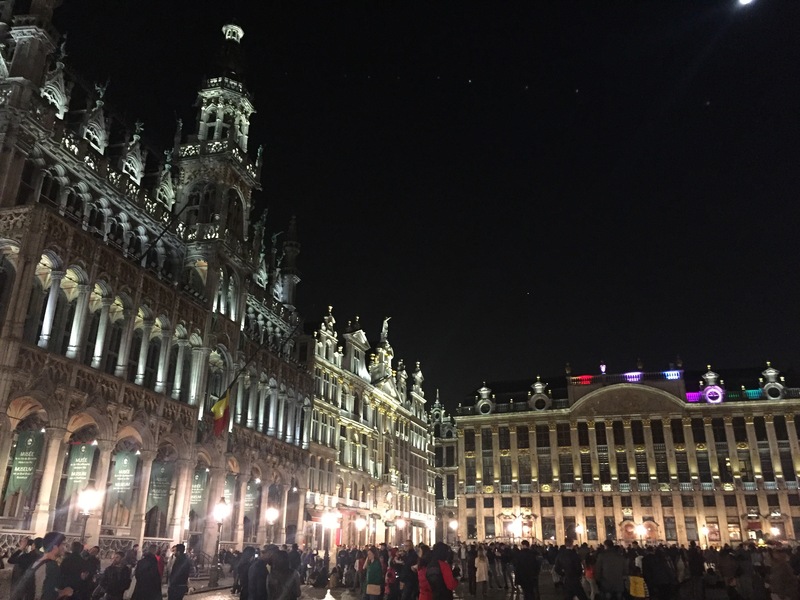 We had a fantastic time and recommend that you put Brussels on your list of places to visit this year! Check out all of the details below to see how we got on and what we got up to on the trip! We flew with Ryanair from Dublin to Brussels Airport. The flight was 1 hour and 20 minutes and cost us €85 each return, however if you book well in advance we have often seen return flights for €30 so keep an eye on this when searching for flights. Getting into the city was simple, as there is a train station in the airport and it only took about 20 minutes if even, to get into Brussels Central Station. The ticket costs €8.80 each way which isn’t too bad. 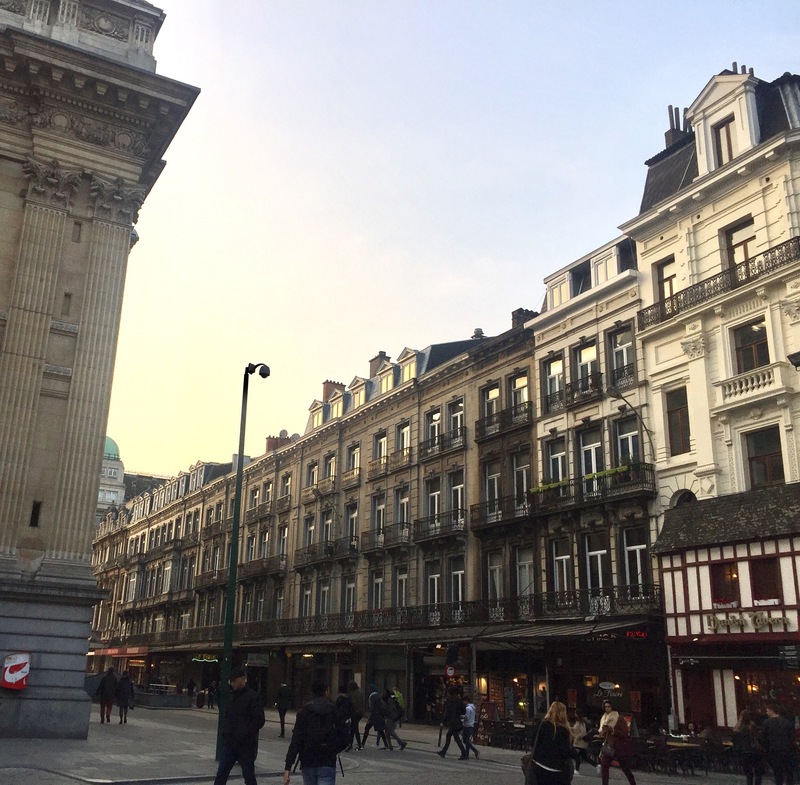 We spent two nights in the 9Hotel Sablon and you can read more about our stay in detail here. 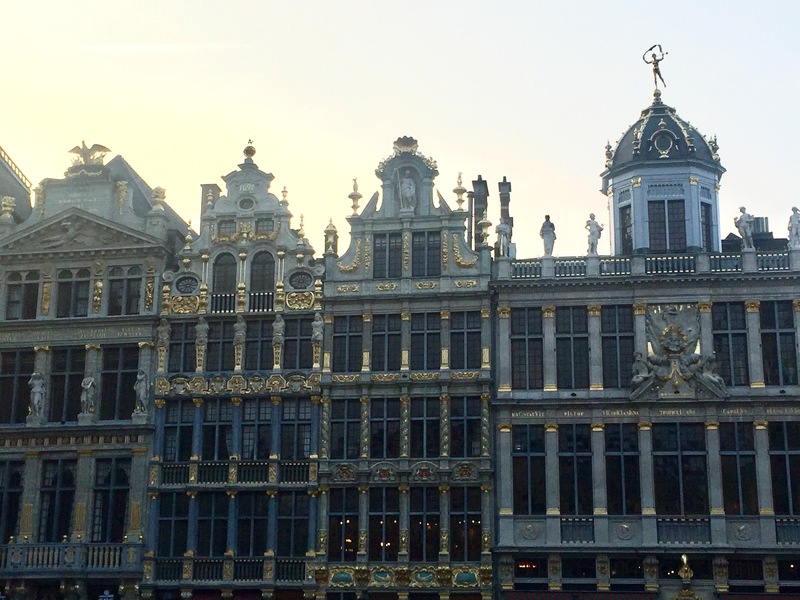 Day One: The Grand-Place and Settling in. We arrived at the hotel just after 10.30 and as our room was not ready we had teas and coffees within the hotel before we headed out to explore the city a little. 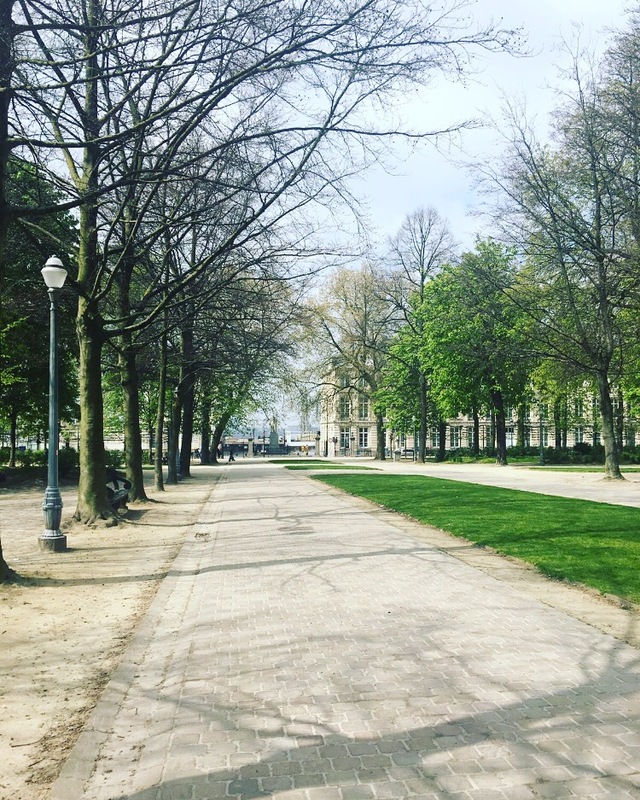 We headed towards Brussels Park which was near our hotel. The park is huge and very pretty. The area around the park is also very nice and is perfect for a stroll in the sunshine. We got quite hungry so headed to McDonals for food. Anyone who reads our posts knows how much we love to try a McDonalds in every city we visit, and the food in McDonalds in Brussels was delicious! 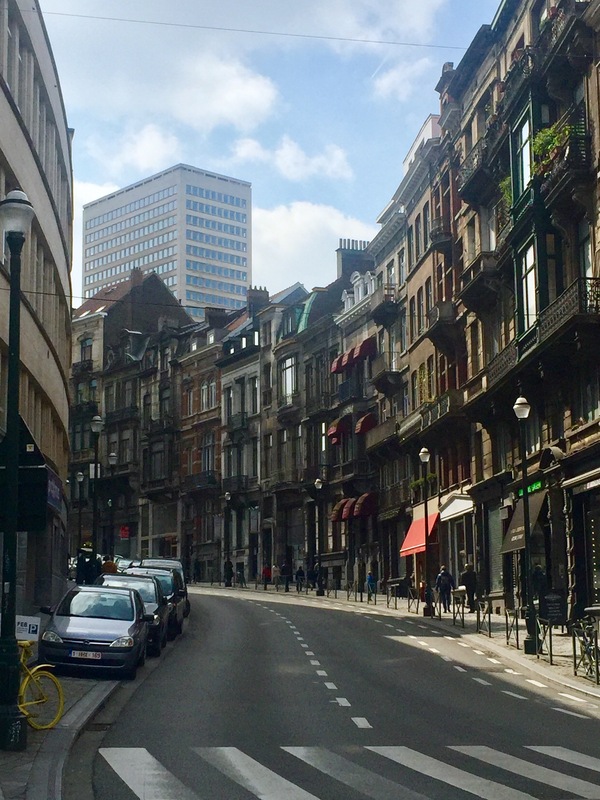 After this we headed back to the hotel to see if our room was ready and then headed to Grand-Place which is the main square in Brussels. The square is so picturesque and the buildings are beautiful! It’s perfect for photos and it’s also a great place to relax and find many chocolate shops and street food. The Hard Rock Cafe is on on Grand-Place so feeling hungry again we thought we would go there for dinner, and of course Nicole got another Hard Rock glass for the collection! After a long day, it was time to go back to the hotel and relax! We slept in on the second day as we were exhausted from the previous day. 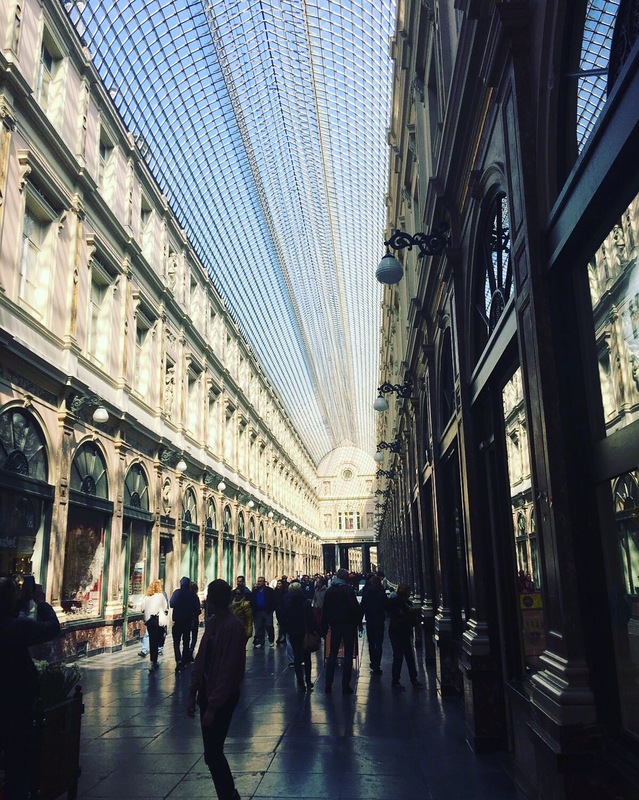 After going for some brunch we headed to Galeries Royales Saint Hubert. 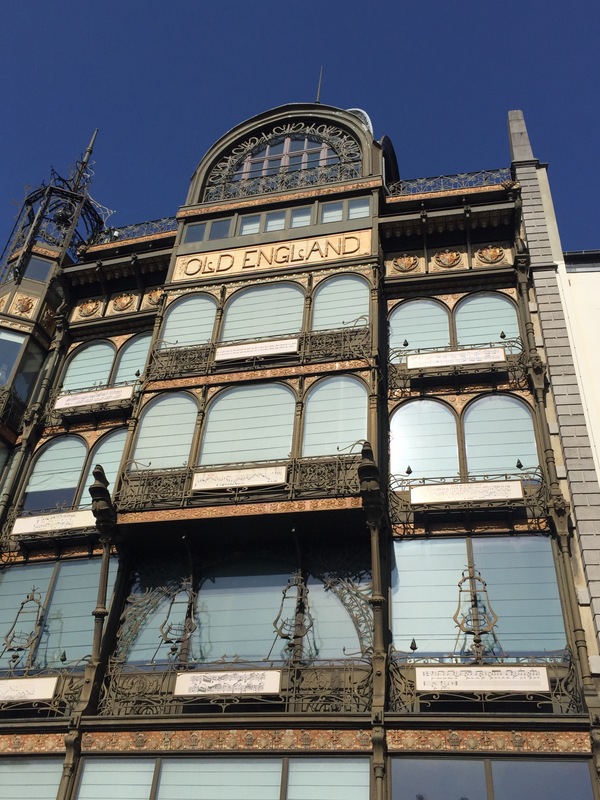 This is a shopping arcade near the Grand-Place and has fantastic architecture inside. Make sure you check it out on your visit! We then decided to go and get the hop on hop off bus as we wanted to see the Atomium, which is north of the city and a bit out. 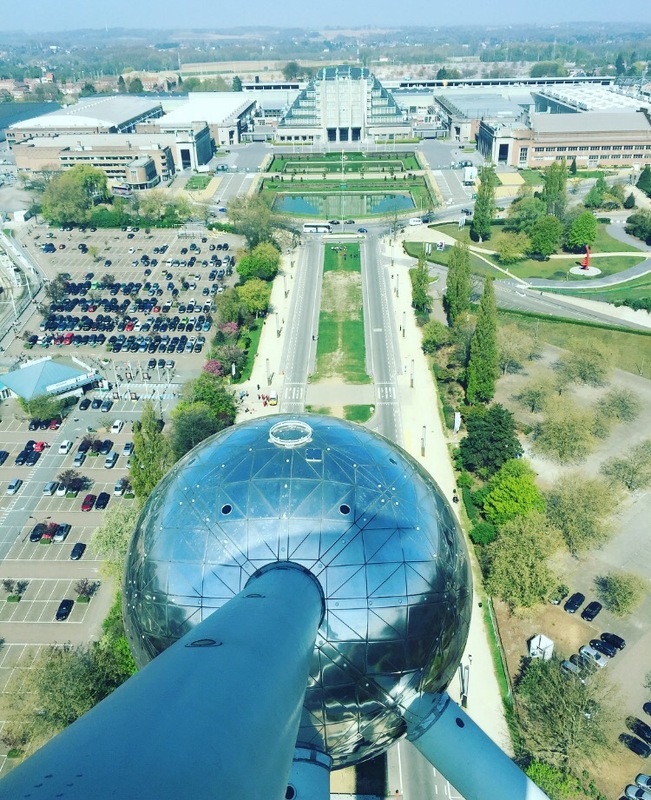 If you have limited time in the city we highly recommend getting the hop on hop off bus as this is the easiest way to get around in particular to get to the Atomium. 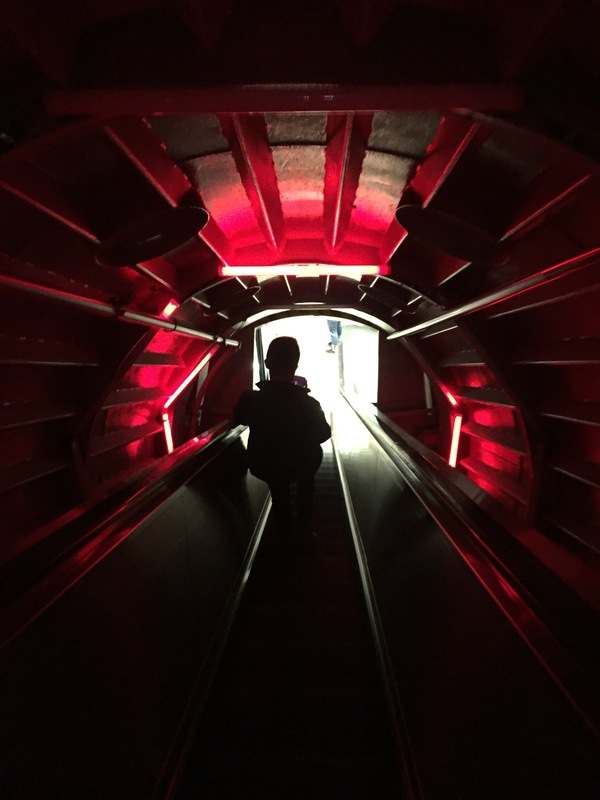 If you have longer and the tour buses are not your thing, you can get to the Atomium via the Metro. 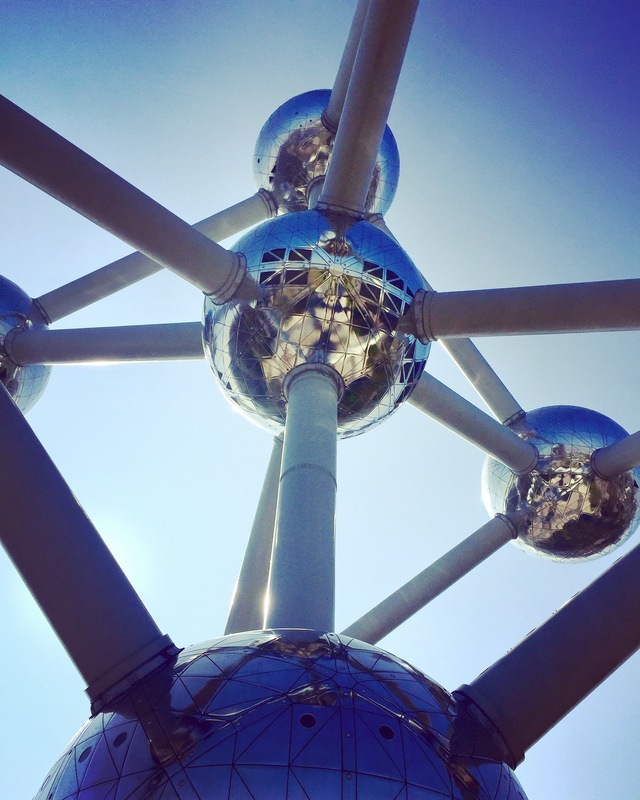 The Atomium was built in 1958 for the Universal Exhibition and is a sculpture of an iron crystal. Each pod represents an atom. Make sure if you are heading here you go early as there will be a queue to get in. 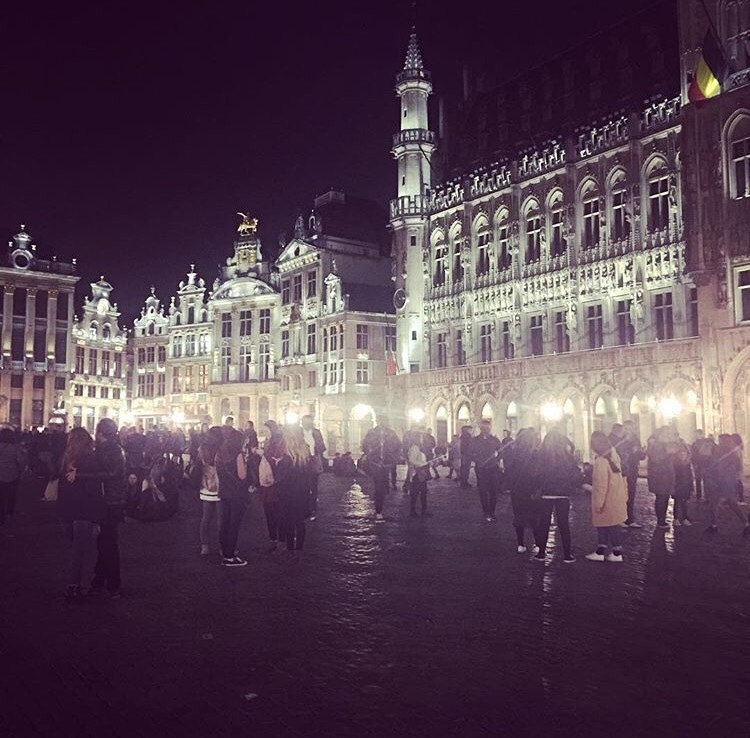 We didn’t have much time so we took plenty of pictures outside and headed back to Grand-Place for a night time view of the square which is so beautiful and even more pretty than during the day! 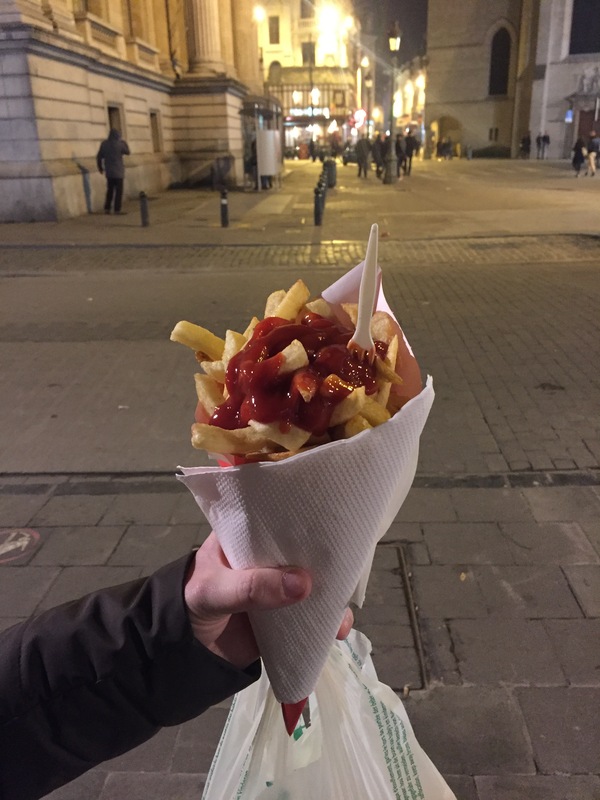 We ended the day by trying some street food and opted for the famous Belgian fries which definitely lived up to their expectation and were delicious! After breakfast we headed back to the Atomium as we wanted to go inside. We queued for about an hour and the tickets were €12 each. The view from the top is great and each atom is filled with an exhibition inside. 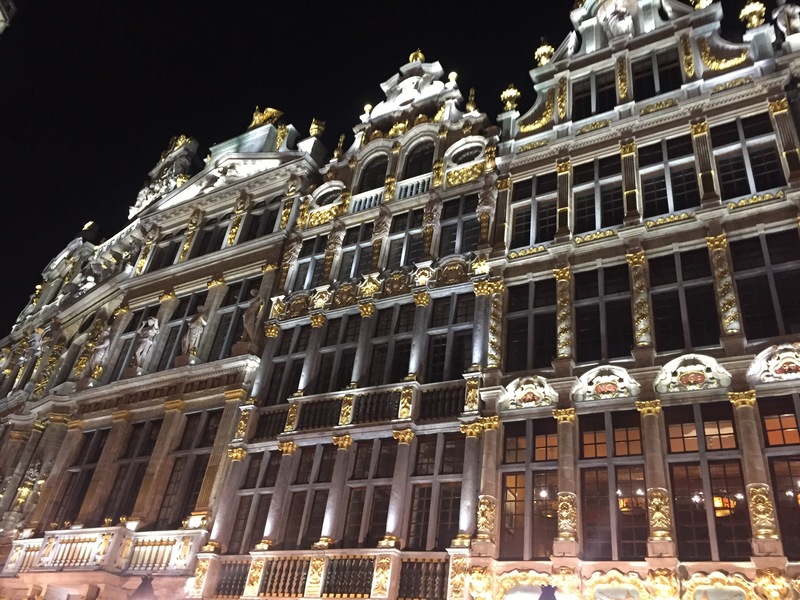 We headed back to the main part of the city and stopped off at a nice Italian restaurant near Grand-Place. 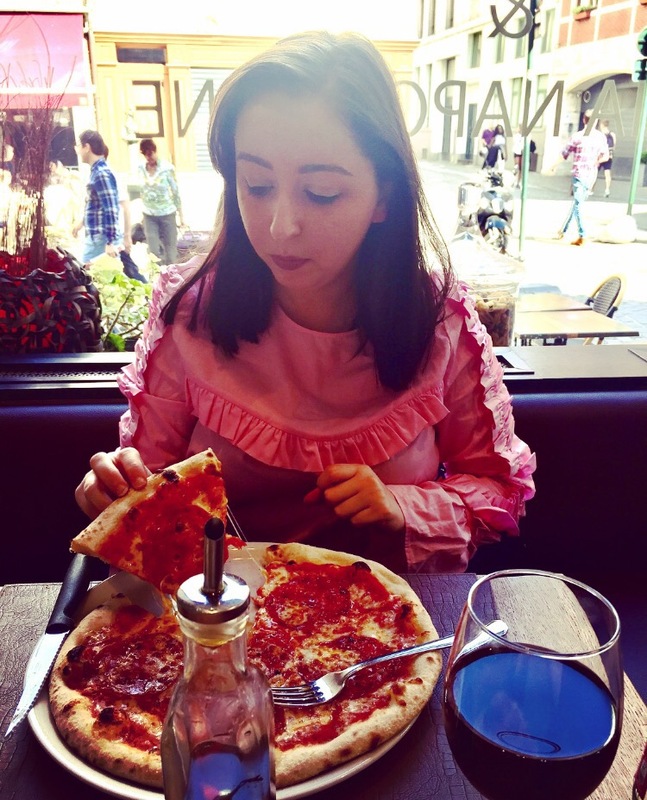 We love Italian food and the pizza was delicious! We decided to get the other line on the tour bus as we had a 24 hour ticket and headed towards the European Quarters of the city. 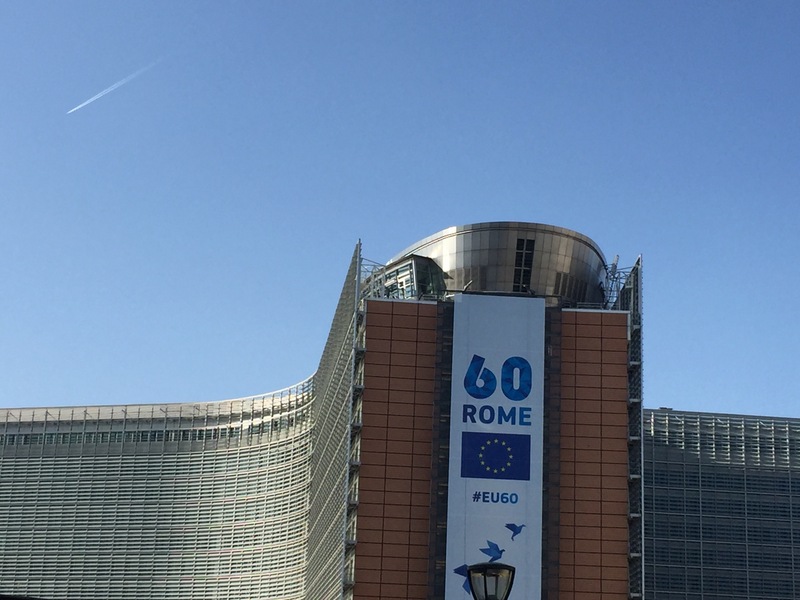 Here you can see many of the European buildings such as the European Parliament. 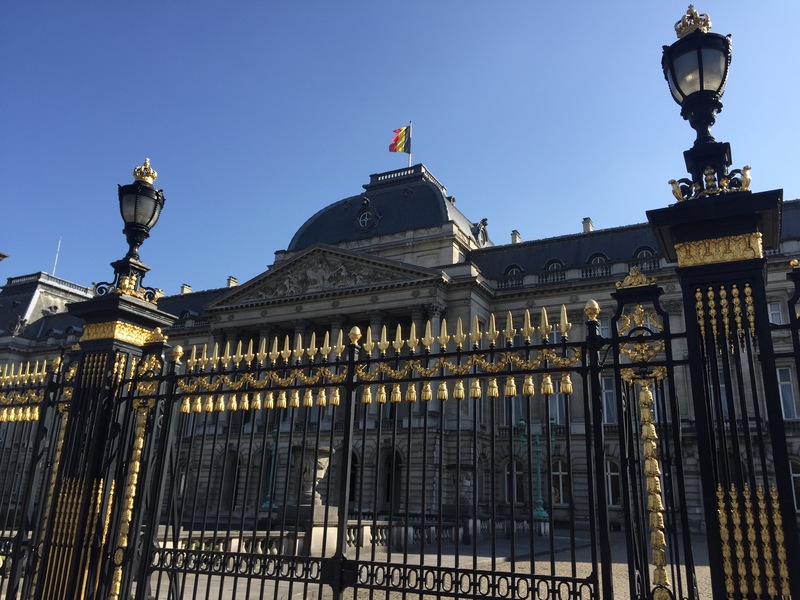 The Royal Palace of Brussels is also the final stop on this line and the Palace really is beautiful. 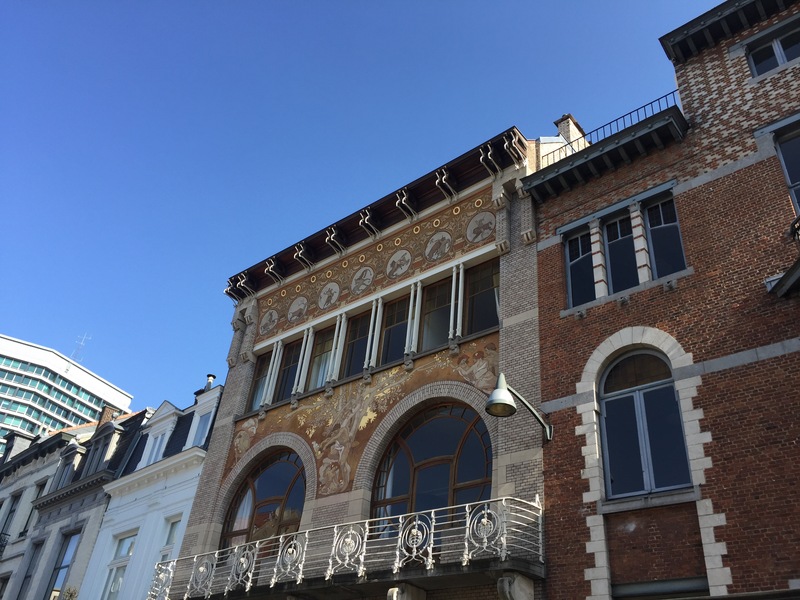 This line on the tour, known as the red line also covered the art nouveau buildings of brussels which were beautiful. Unfortunately, it was then time for us to head back to the hotel, collect our luggage and head back to the airport for our flight home. We really enjoyed our trip and would definitely head back to the city again. It’s a fantastic destination and very relaxed. 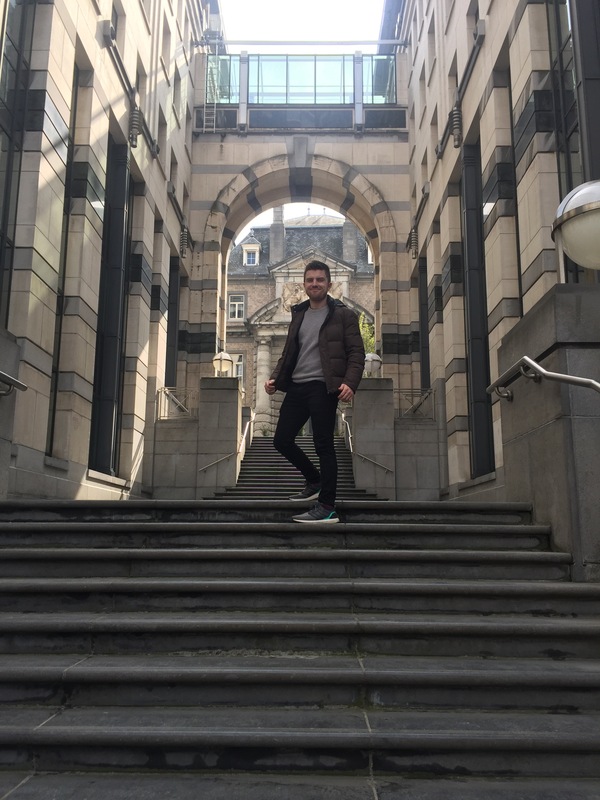 We wish we had of gone for longer as there is so much to do, so if you do have the time go for longer and if like us you have a weekend you will still get plenty done and enjoy the city! Nice post! Your pictures are great. Looks like you had nice weather! 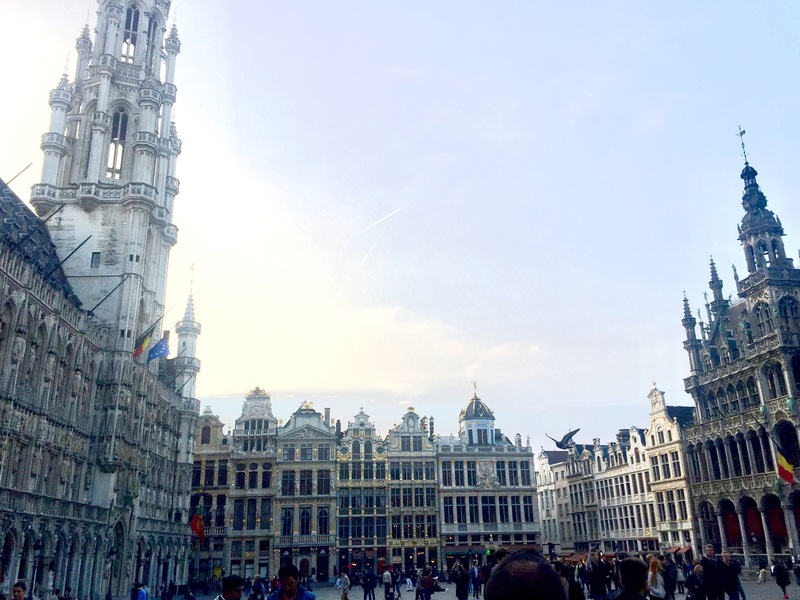 Brussels was not on my radar, but it might need to be a stop on our next Europe trip. 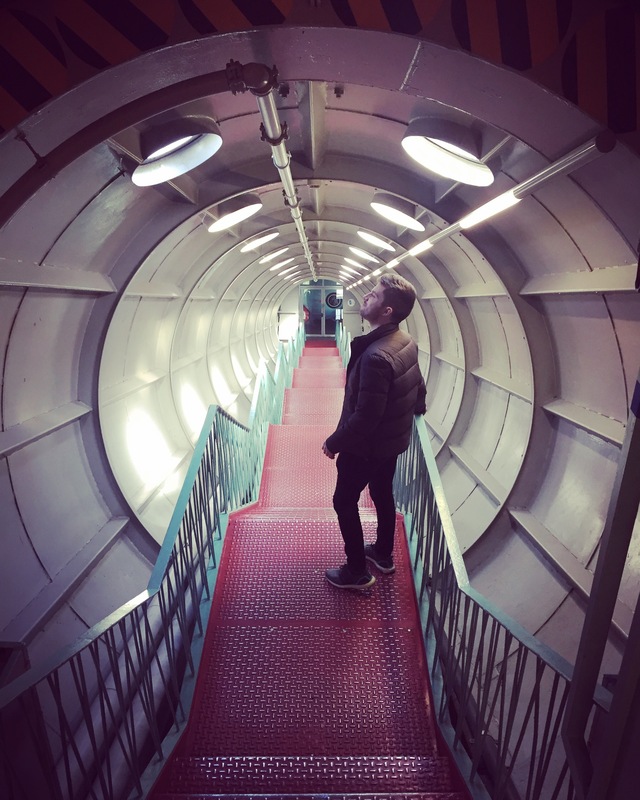 That atomium is really interesting looking! Thank you Diane! The weather was beautiful, not too hot but not too cold either 😊 I know it’s not on a lot of people’s radar and it’s so beautiful so we hope our post encourages people to go! 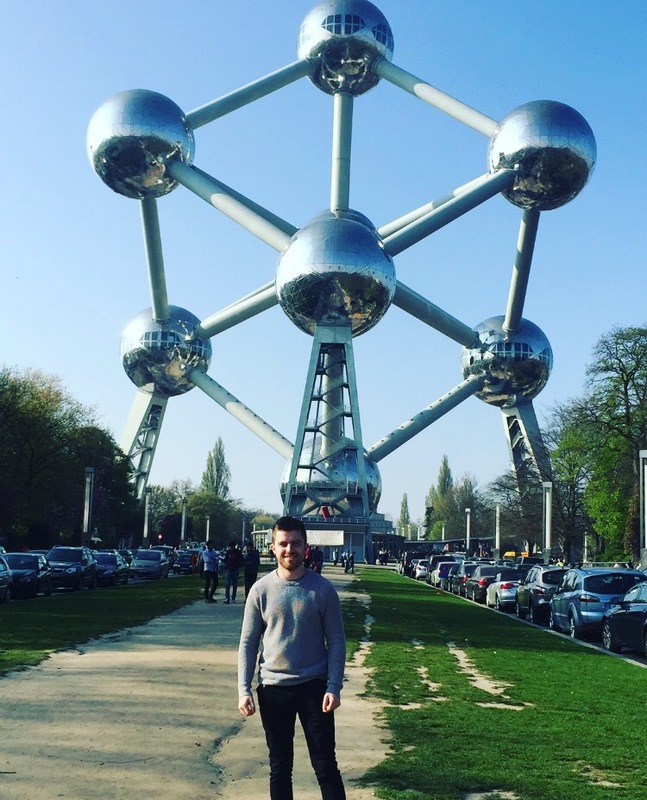 The Atomium is one of the main sights and it’s fantastic when you get there! We had a great time! Keep posting! It is fun to follow your adventures! I’ve been there about three years ago . 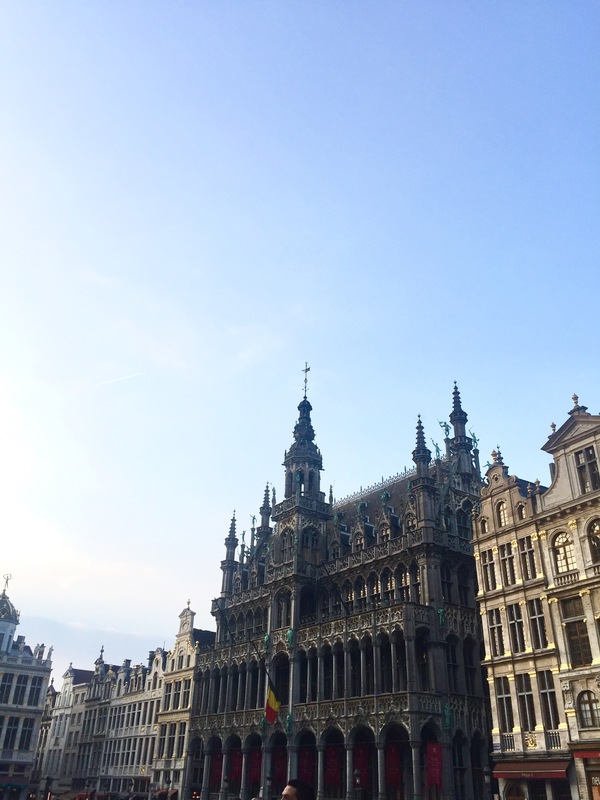 I visited grand place, royal palace and so on. 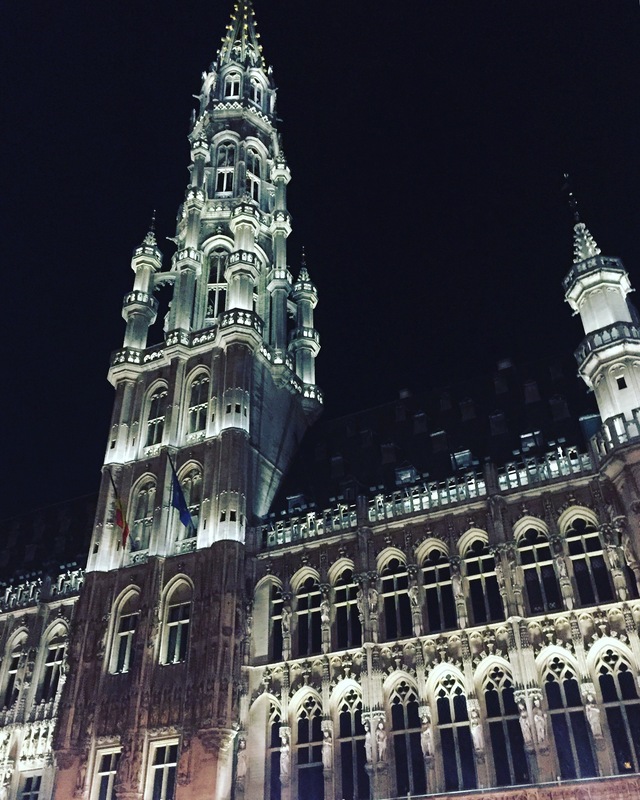 Grand place is really beautiful.Definitely, it’s one of the most beautiful place in Europe!! 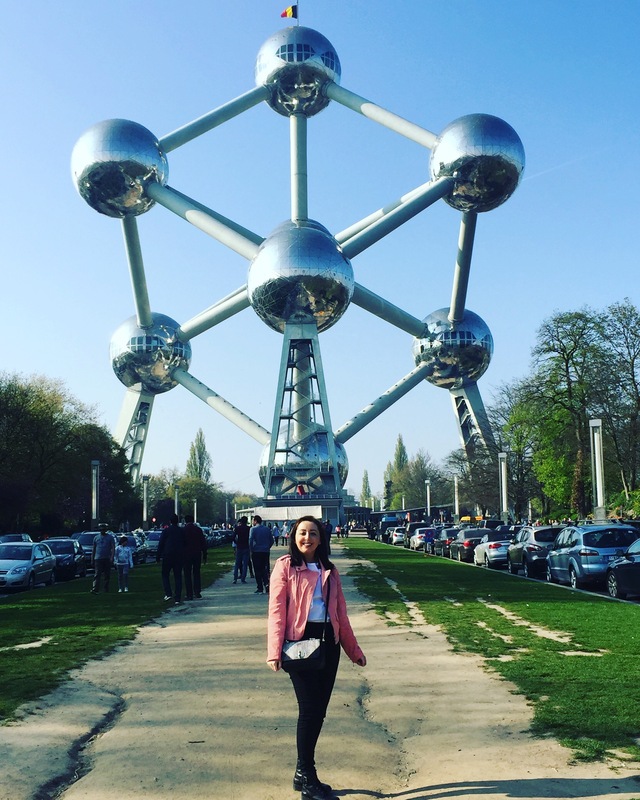 We were quite surprised by it and we did enjoy our time there 😊 the Atomium was great especially the different exhibitions on inside!